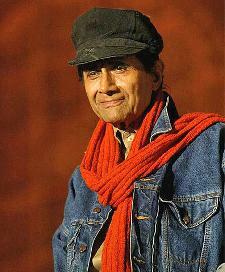 Veteran actor and filmmaker Dev Anand’s spirit is indeed untiring. Even though Anand Studios is undergoing renovation, the actor is as happy as ever. Despite being confined to a 15X10 room, he continues to work in the same spirit on his film, Chargesheet, with no change in his gusto. Dev Anand earlier worked in a huge studio and used the entire Anand Studios to his fancies. But he now works in a little office in Siddhi building at Khar. This area is his temporary headquarters where he is carrying out the dubbing, shooting and mixing work of Chargesheet, which is in its post-production stage. However, the actor has no complains. He admits to finding it a little troublesome and also that he has to depend on other studios for when they’re free but he’s still doing it and won’t give up. He misses Anand Studios and wants it to be ready soon. It will take about a year’s time to get rebuilt. He misses seeing his own staff immediately when he comes here, unlike the way it was in Anand Studios. He has taken it in his stride and feels that in a way, his traveling is good because it gives him the chance to meet new people and he loves interacting with people.